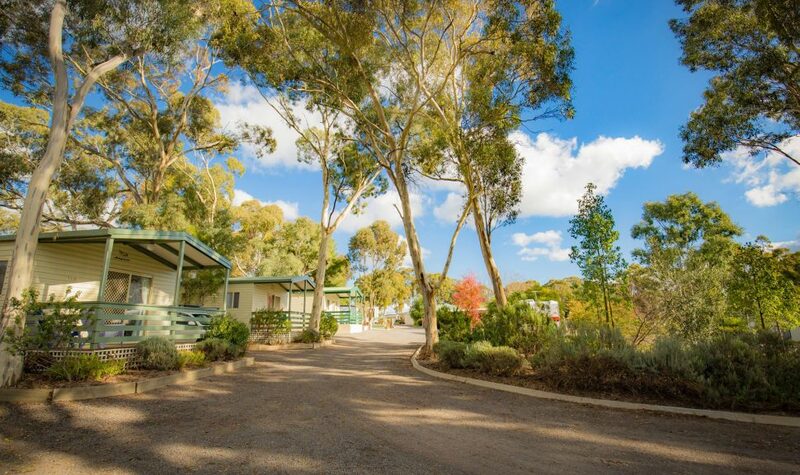 Pyrenees Caravan Park is a family owned and operated park located in a tranquil bush setting in the rural city of Ararat. Pyrenees Caravan Park offer affordable cabin accommodation to suit couples and families, powered caravan sites (some with ensuite) and campsites. Pets are welcome on campsites and some pet friendly cabins are available. Enjoy the facilities, including the free barbeque area and children's playground. Make use of the laundry facilities, amenities block, Wi-Fi and shaded campgrounds. The park is the ideal base to explore Ararat's attractions - Aradale Asylum, J-Ward, Alexandra Gardens, One Tree Hill, historical building walk, to name a few. Located 40 minutes from the Grampians National Park, Ararat is the perfect location to explore this beautiful region.